In this day and age, information technology is developing on such a rapid rate, that tons of electronic equipment quickly becomes obsolete. Many of these unused or unwanted electronic items contain hazardous materials such as mercury, lead and chromium. If these products are simply thrown into the garbage, these elements can break down in landfills and eventually release into the environment. Computers, for example, contain tiny, bioaccumulative compound particles that could potentially threaten animals, bodies of water and even humans. Because of this, recycling computer components is very important! Organizations and governments all over the world are beginning to put an emphasis towards recycling, but unfortunately there is not yet a simple local policy in place. In many cases, individuals and small business owners want to recycle but may not know exactly how to recycle properly. The good news is, Parts People is GREEN and WE WILL DO THE WORK FOR YOU! You want to keep your old laptop parts out of the landfills, right? So do we! Here at Parts People, we do this in a variety of ways. Parts People recycle everything that is damaged, unusable or unwanted. These items include laptop plastics, laptop parts, laptop motherobards, LCD screens, or any other computer component. We also offer recycling for any customer who buys from us. This way, people do not have to worry about where their unused product went. We will properly dispose and recycling all your components! Just send in your old parts with the provided shipping label, and your components are taken care of. On us! Finally, we offer laptop refurbishment! This not only brings new life to old equipment, but reduces the demand for precious resources. Being environmentally conscious about our products is not only beneficial to our earth, but for our business and our clients. Thank YOU for being GREEN with us! 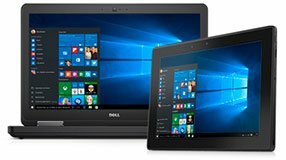 Refurshing your old Dell laptop saves you money and it is good for the earth. Instead of throwing out your old Dell laptop send it to us to have it cosmetic refurbished for a flat $200. This will make your Dell laptop new again.